Looking for Delhi hotels near Railway station? If yes, then end your search at Hotel Ajanta, which is one of the finest Hotels in Paharganj. Serving since 1972, the hotel has seen and survived the passage of time. The art of re-discovering itself has kept Hotel Ajanta at par with the best hotels in Delhi. Ensuring quality and comfortable accommodation, Hotel Ajanta offers Standard Rooms, Deluxe Rooms, Superior Rooms, Family rooms and a luxurious suite. All their rooms have been designed in such a way that it caters to travelers from all walks of life. Their Suites offer a complimentary Airport pickup along with a complimentary wireless Internet access. The hotel also offers rooftop lounge for you to rejuvenate. Hotel Ajanta is also pretty famous among foreign tourists, the unparalleled services by their staff is one of the primary reasons for that. Also, the hotel provides money exchange facilities for its guests. The hotel has also introduced one of its kind tariff plans for the day use of their rooms from 8 AM TO 8 PM. The complimentary breakfast facility in most of their rooms is also a big hit amongst the masses. The multiple award winning budget hotel in Delhi shares proximity with Lutyens’ Delhi. 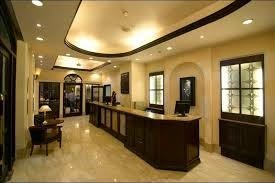 Centrally located in the heart of the city, Ajanta Hotel is one of those Hotels in Delhi which ticks all the boxes for a superb accommodation. As a result, a visit to and a stay in Hotel Ajanta is highly recommended.